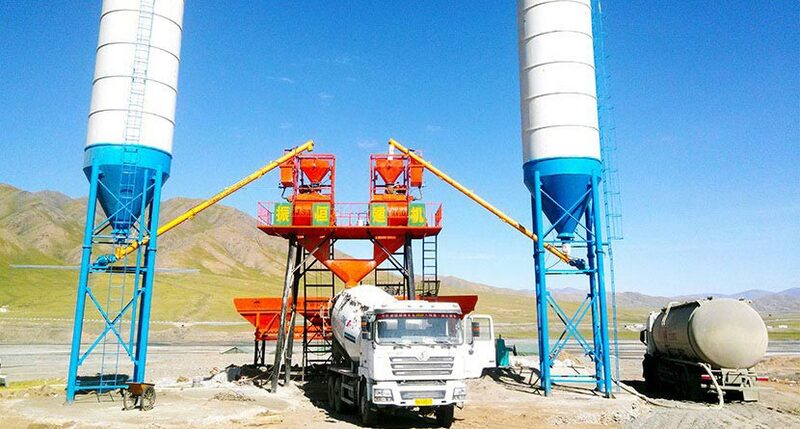 It is the rainy season, for the concrete mixing station, if the demand for concrete is too large, then work in the rain is inevitable, we all know that most of the concrete mixing plant equipment is composed of steel material, It is necessary to pay attention to some important problems in the production, so as to ensure the effective life of the machine and the higher quality of the production. 1, The first need to see the grading of gravel moisture content of the number, and then according to the actual situation in the ratio. 2. Then check the belt before the water on whether there is water, if there is as much as possible first empty line running more than ten seconds to remove the water on the belt. And then according to the ingredients of the data used to match the amount of water. 3. When discharging, be sure to go to the driver to reverse the drainage inside the tank, before the rain must be installed before the drainage, and then in the discharge. Above is the concrete mixing station rainy days to start the attention of the rain to the normal work to bring some trouble, so in the implementation of the production process, we must be strict and prudent. Previous:Winter solstice - dumpling party of ZHENHENG Construction Equipment Co.,Ltd.